A roller blind is simply considered as a type of a window blind. It is usually characterized by a piece of fabric that is attached to an aluminum rolled tube. This is finalized with a chain pulley system which allows the fabric to roll up down. Roller blinds are seen to be very common in Singapore. There are even people who suggest that the idea of roller blinds must have originated from there. Singapore is recognized as a modern city state and has some the best items that can help improve your home and office. Roller blinds are just some the things you will from the popular sellers and contractors. Singapore residents experience a good weather all year round compared to many other parts of the world. They only experience hot and humid conditions all year round. Their climate has largely contributed to the adoption of the roller blinds. Roller blinds are considered to be perfect for hot and humid weather conditions because they give ultimate control in light, heat and shade. Roller blinds from Singapore usually create a stress free way of dressing one’s windows. They usually tend to be very stylish and come in variety of colors and materials. This allows one to choose from a great variety which is good because you can express your own personal style. Again, roller blinds can either be single or double. The double roller blinds are used mainly for the purpose of screening. Double roller blinds can also be used to add style and design. Singapore people are said often termed as simple people. That is why roller blinds that originate from there are quite simple in design. They are quite easy to install and maintain. Most blinds are crafted from horizontal overlapping materials. This allows room for easy adjustment and quickly reduces the amount of light coming in to one’s home. Wooden roller blinds are very common in Singapore. Wooden blinds are often considered to be the best since they have a natural look that coordinates well with any interior décor. The wooden roller blind normally gives your room a very contemporary look. The metal roller blinds are something that was quite rare in Singapore, but seems to be a trend that is picking up. Metal roller blinds are considered to be long lasting since they are made out from a long lasting material. 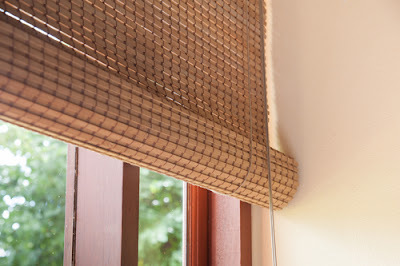 Size is the first thing that one needs to have in mind when it comes to installing a blind. You need to measure your window properly before installing a blind. This ensures that you get to install just the right size. Material of drape is another important factor that needs to be considered before installing a roller blind. Is the material opaque or translucent? Cotton is usually a good material to use in areas like the living and bedroom. Do you want a manual or an automatic roller blind? An automatic roller usually creates a feel of modernity. On the hand, manual blinds are quite easy to install and maintain. Many people think that the Venetian roller blinds were invented by the Venetians as the name suggests. However, this is far from true. The blinds were invented by Persians and the Venetian merchants got a hold of them from the European market. These blinds were extremely popular in Europe during the 16th and 15th century. There has been concrete evidence surrounding the use of roller blinds by the Ancient Egyptians. There roller blinds were made out of reeds that were tied together and later used in opening for the purpose of privacy. A drapery is defined as a piece of clothing that tends to hang loosely on folds. Draperies are mainly used when making roller blinds. History marks that they became quite popular during the 19th century. This is a period when textiles were seen to be readily available. Back then roller blinds were mainly made out of textile which was not readily available. As a result only rich families could afford to use blinds. However, today these blinds are quite affordable and can be used by anyone. John Hampson who has his origins from America was said to be the first to create the idea of a tilt roller blind. In 1841, he was granted with the patent used as a tilt mechanism in blinds. Nearly all blinds that operate today operate using this tilt mechanism. The earliest form of a drapery was created from an animal hide. These animal hides would be hanged in openings to maintain privacy. People who lived in very warm areas could soak the hide in water and allow the wind to b low through it. This created an air conditioning effect. The most common mistake that 90 percent of people make when it comes to purchasing a blind is failing to measure the window size. Just because a blind appears to be stylish does not mean it will perfectly fit in to your window. In any given scenario, a roller blind is considered to be the best. This is because it takes up less space while at the same time provides the right amount of light in to your room. It is also cost effective and quite easy to clean and maintain. If are you thinking of getting a blind that will perfectly meet your needs; then you need to go for roller blinds. You can further spice up things by purchasing roller blinds, which have a twist of elegancy in them. Roller blinds will make your office or your home look beautiful and welcoming to your visitors.